This image shows the path of Jupiter as it disappears behind our building. 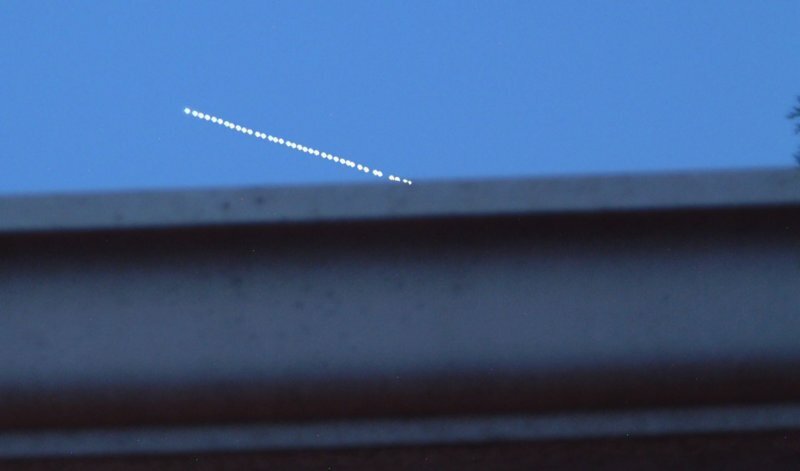 This image was generated by stacking together 36 sequential images, taken with the Finepix 4700 mounted on a tripod and zoom set to the greatest magnification. I used the night setting of the camera, because this is the only mode that allows a shutter speed of 3 sec. All other modi of the camera are limited to shutter speeds of 1/4 sec. or shorter. Taken on 07-21-2006.